When prisoner of war Jack Chalker captured in his drawings the atrocities inflicted on allied soldiers on the Thai-Burma railway during World War 2, he had no idea if anyone would ever see them. More than 75 years later, around 800 people filed through an exhibition room at Melbourne’s Repatriation Hospital to view his powerful and provocative works. 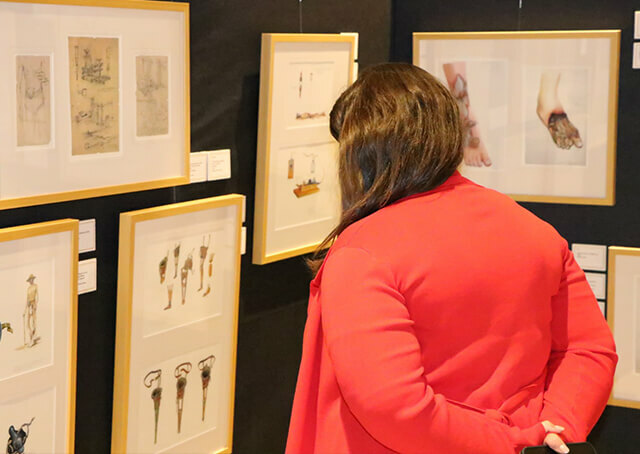 Ryman Healthcare’s ‘Jack Chalker – Artist in Captivity’ exhibition was held at the hospital in November, the third time the company has showcased the artwork since 2015. Chalker went to extraordinary lengths to document the appalling conditions on the railway, hiding his water colours and sketches from the Japanese guards. He was beaten after some of his work was discovered, and his surviving sketches were used as evidence at the Tokyo War Crimes Trials. He was one of the prisoners known as “Weary’s 1000”, after their leader Sir Edward ‘Weary’ Dunlop. Weary Dunlop, who Ryman named its first Australian retirement village after, was knighted after the war and named Australian of the Year for his extraordinary service to former POWs. His son, John, got behind the exhibition, allowing a number of his own Chalker prints to be part of the display. The Australian War Memorial also reproduced prints from the original artworks for the exhibition. Robert Winther, the Repatriation Hospital’s veteran liaison officer, said around 800 people viewed the exhibition in the two-and-a-half weeks it was at the hospital. “It was most appropriate that a display of this type was held in the Repat’ Hospital because of its significant heritage since 1941,” Robert said. 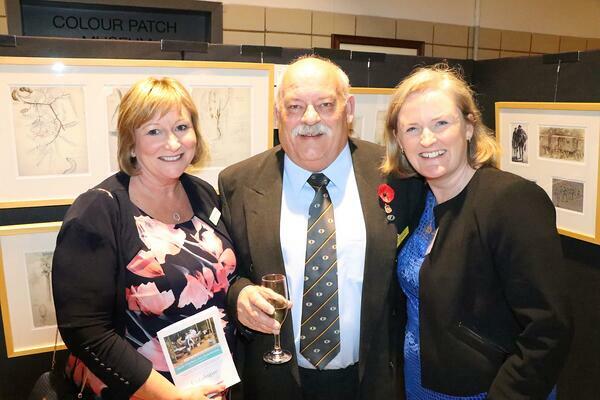 At the launch of the exhibition are, from left, Debbie McClure, Gary Simmons, and Angela Barraclough. Speaking at the exhibition launch, Ryman’s communications advisor Michael Cummings said the company was proud to be the custodian of it, “and we have a deep sense of obligation to share it with the public”. “[Chalker] probably didn’t realise it at the time but he wasn’t just creating the amazing artwork we now have before us,” Michael said. “He was also building a bridge for future generations to come back to the railway and to bear witness, just as he did all those years ago. Ryman intends to put the exhibition on display again in 2019.